Here’s a splendid alternative to common-or-garden cutlery. 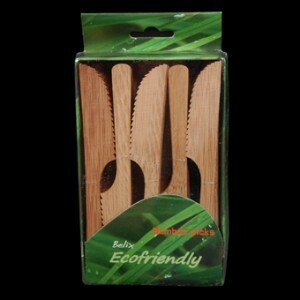 These wonderful bamboo spoons don’t just look great; they’ve got that lovely smooth-to-the-touch feel about them. Of course they’ll perfectly complement any Japanese banquets – so much easier to use than chopsticks – but they’ll grace other occasions too. They’re the ideal choice for a garden party for instance. Or for a hearty serving of fish and chunky chips. Or canapés... They really are very versatile and your guests are really going to enjoy using them. 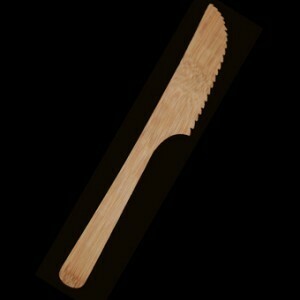 15cm Bamboo Knife x 100 has not been evaluated yet.